Keith was born in Providence on February 3, 1970 and raised in Pawtucket, RI. As a youngster, he skated in both the Pawtucket and Edgewood youth hockey programs. He would go on to star at Mount St. Charles, graduating in 1988 as one of the greatest defensemen ever to suit up for the school’s red, white and blue. Over his prep career, he earned four All-State berths and his teams captured four state titles. 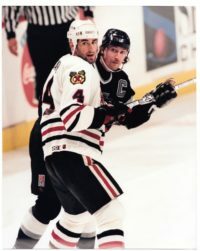 Drafted 76th overall out of high school by the Buffalo Sabres in the 1988 NHL Entry Draft, Carney starred at the University of Maine for three years during which time he made various All-Star teams for his fine play. He was selected a first-team NCAA East All-American in both 1990 and 1991. Keith joined the Sabres in 1991 after spending much of the year with his first U.S. National team. 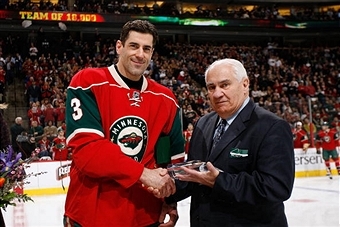 He would play only parts of three seasons with the organization before being traded to Chicago. With the Blackhawks, Carney matured and developed into a solid defenseman and during his four full seasons there he helped anchor a developing corps of talent. But the team never advanced very far, and late in the 1997-98 season he was traded to the Phoenix Coyotes. 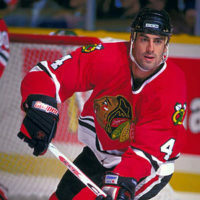 Just weeks earlier he had represented the USA at the 1998 Winter Olympics in Nagano, Japan. After four seasons in Phoenix, Carney was dealt to the Anaheim Mighty Ducks in 2001-02 and was a valuable asset on the Ducks blueline, helping the club reach the Stanley Cup finals in 2003 against the eventual Cup champions from New Jersey. Carney went on to play parts of four seasons with the Ducks before being acquired by the Vancouver Canucks at the 2006 NHL trading deadline. Carney’s stint with the Canucks was short lived as the free agent defenseman was signed by the Minnesota Wild in the summer of 2006. 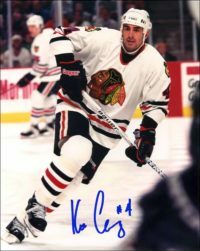 Overall, Keith played in 1018 NHL games, the most ever by a Rhode Island-born player. His career +164 is also the best +/- ever recorded by a Rhode Island-born player and the eighth best of any American-born defenseman.